Visitors exploring downtown New Bern can’t help but notice the impressive City hall which looms over the city landscape. This unmistakable landmark, which still serves as the home of local government offices, has a unique story and history which is worthy of exploration. The current “City Hall” was first constructed in the 1890s, and was completed by 1897. The structure was originally built for federal offices and purposes, and was used as a Federal Courthouse, a local Customs Office, and a Post Office. 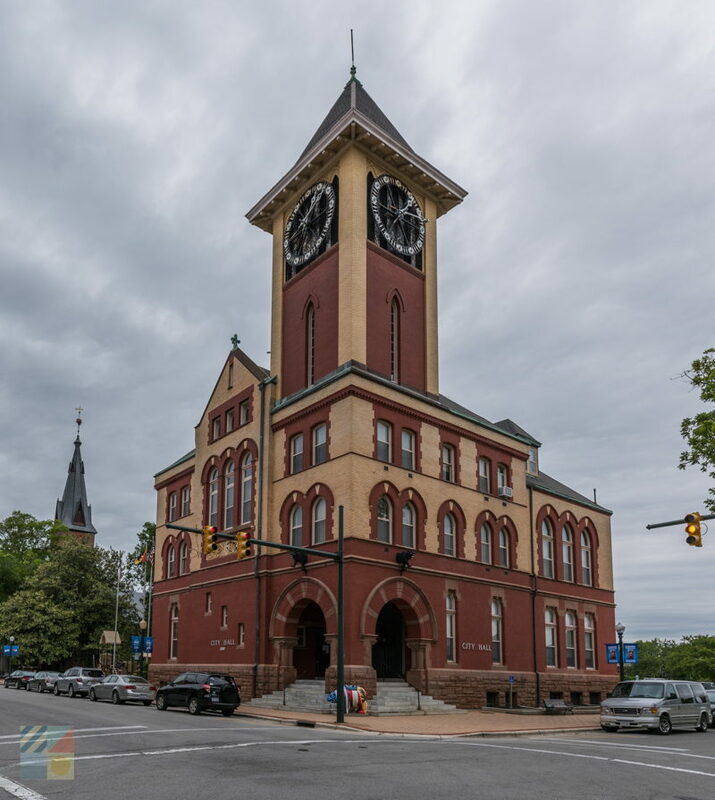 It came under city ownership roughly 40 years after it was built, and has continued to serve the city of New Bern ever since - Today, the Board of Aldermen and other quasi-governmental boards continue to use the original courthouse and other offices. 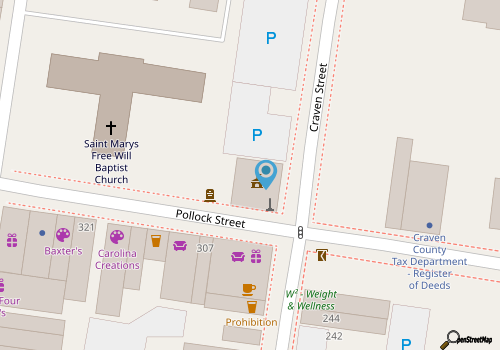 The Romanesque Revival building is the only one of its kind in the New Bern area, and the four-face clock was added after the initial design was proposed. Today, visitors walking through downtown New Bern can still hear the clock chimes, which ring every hour on the hour. A unique sight for visitors, the impressive City hall is a cool stop along any downtown exploration, and a unique addition to this charming community’s historic atmosphere.